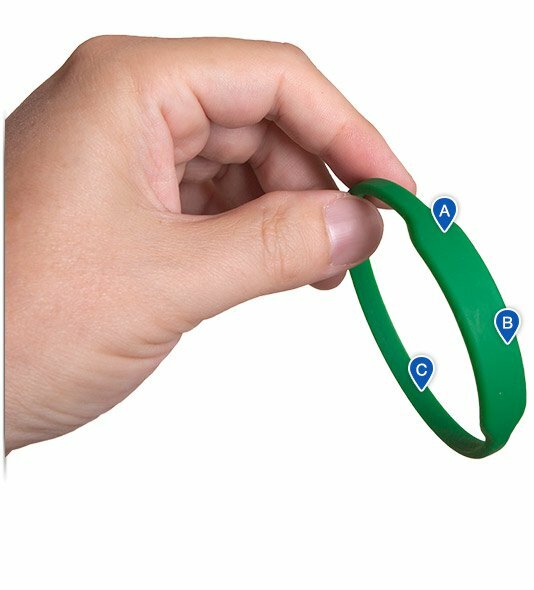 A unique silicone bracelet shape for wristbands with a message. This band features a custom marquee display for sleek promotion of your message. Choose from a square or rounded shape in any color or pattern. Bring attention to your message, artwork, or logo with our distinctive marquee wristbands -- a great (and more customizable) alternative to expensive metal ID and Alert bracelets. These pure silicone wristbands are flexible, durable, and stylish. The rectangle marquee bracelets are perfect for highlighting hashtags or symbols, ID wristbands, medical alert bracelets, and more. The 3D viewer at the right displays an interactive example to help visualize the look and texture of the bracelet.